← U.S. Becoming Natural Gas Exporter? The U.S. has in recent years experienced significant growth in renewable generation. Multiple states are now implementing electric resource plans that incorporate high levels of renewable generation. These include Hawaii at 40%, California at 33%, Colorado and Maine at 30%, as well as numerous other states at 20% or higher. Such growth is not without apprehension. There is concern that many of these percentages have been set through a political process rather than through traditional engineering-based resource planning. Modern power systems were designed for steady generation provided by a limited number of centralized, dispatchable power plants. A high penetration of renewables, provided largely by wind and solar power, presents a new paradigm – a significant amount of generation that is variable due to the intermittency of wind and sunlight. Such generation is non-dispatchable since wind and sunlight can’t be controlled, and difficult to predict since output depends on weather conditions. For the planners and operators who must ensure reliability, such variability is cause for concern. Key areas affected include long-term capacity planning, seasonal reliability planning, day-ahead and hour-ahead scheduling, and real-time operations. From the system operator’s perspective, some renewables such as geothermal and biomass operate similarly to a fossil fuel unit in that units are dispatchable. This means that output can be controlled by adjusting the input of fuel, since the availability of fuel is not variable. Conversely, wind and solar technologies are generally non-dispatchable, variable, and their unit output can be difficult to predict accurately. 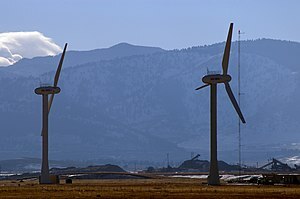 Despite such challenges, studies by various organizations including the North American Electric Reliability Corp (NERC), the National Renewable Energy Laboratory (NREL), and different Independent System Operators indicate that with changes to procedures and technology, high levels of penetration are feasible. Can such penetration be achieved at a reasonable cost? Most studies say yes. A recent U.S. Department of Energy study of 20% wind penetration indicated that integration costs are expected to be less than 10% of the wholesale cost of energy, with various cited studies showing integration costs ranging from $1.85 to $4.97/MWh. While many would find this an acceptable cost, we won’t really know what the costs are until we get well into the process. But it appears likely that within the decade operators will handle generation variability as a routine occurrence, much like they do loads today. Note: The above is a condensed version of an article that appeared in Enerdynamics’ Energy Insider Issue Q1 2011. Click here to read the full article.